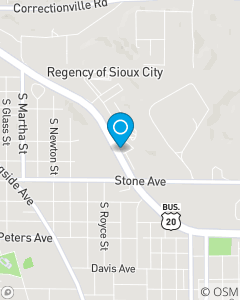 We are located in the Spalding Center on Gordon Drive in Sioux City, Iowa. Derek Winkel Insurance Agency, Inc. has been Sioux City's insurance provider for Auto, Motorcycle, Home, Renters, Condo, Jewelry, Life Insurance quotes and much more since 2002. Derek Winkel is passionate about helping the people of the Sioux City area and all of Iowa, Nebraska and South Dakota manage the risks of everyday life, recover from the unexpected and help people realize their dreams.